Architectural History. 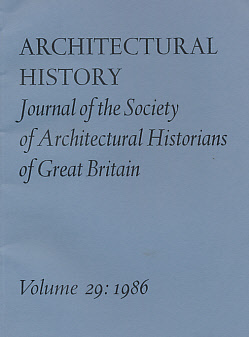 The Journal of the Society of Architectural Historians of Great Britain. Volume 11. 1968. Architectural History. 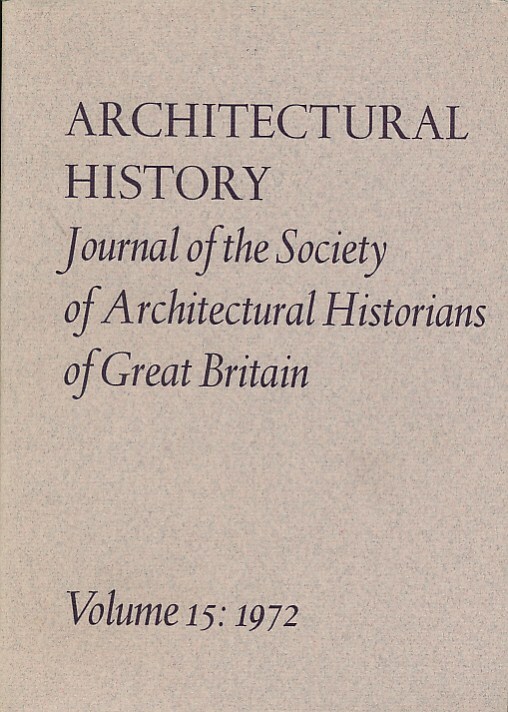 The Journal of the Society of Architectural Historians of Great Britain. Volume 12. 1969. Architectural History. 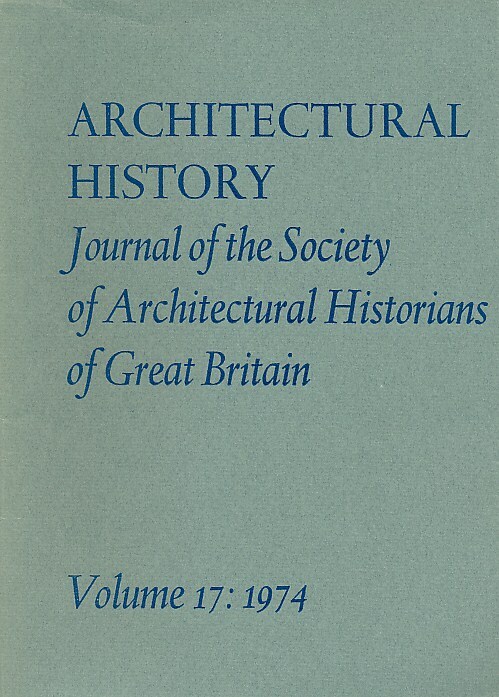 The Journal of the Society of Architectural Historians of Great Britain. Volume 14. 1971. Architectural History. The Journal of the Society of Architectural Historians of Great Britain. Volume 15. 1972. Architectural History. 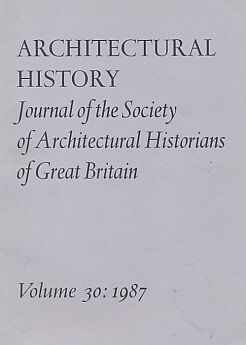 The Journal of the Society of Architectural Historians of Great Britain. Volume 17. 1974. Architectural History. 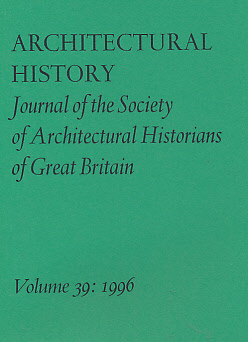 The Journal of the Society of Architectural Historians of Great Britain. Volume 18. 1975. Architectural History. 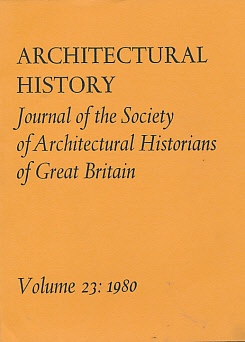 The Journal of the Society of Architectural Historians of Great Britain. Volume 20. 1977. Architectural History. 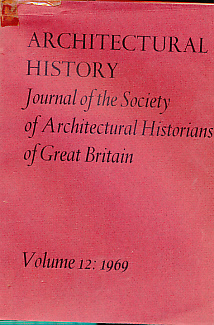 The Journal of the Society of Architectural Historians of Great Britain. Volume 23. 1980. Architectural History. 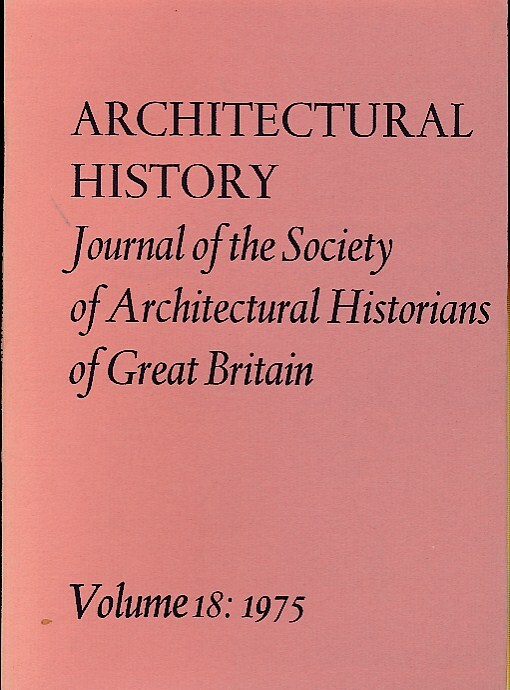 The Journal of the Society of Architectural Historians of Great Britain. Volume 25. 1982. Architectural History. 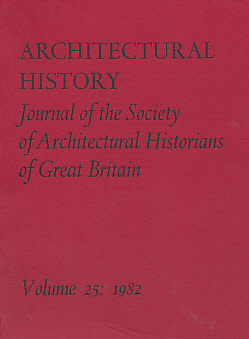 The Journal of the Society of Architectural Historians of Great Britain. Volume 27. 1984. 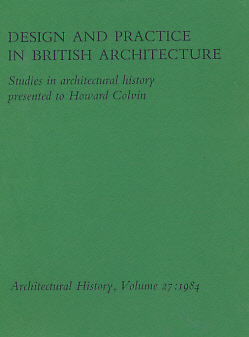 Design and Practice in British Architecture, Studies in Architectural History Presented to Howard Colvin. Architectural History. 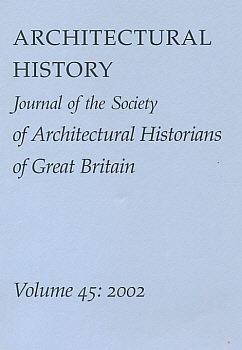 The Journal of the Society of Architectural Historians of Great Britain. Volume 29. 1986. Architectural History. 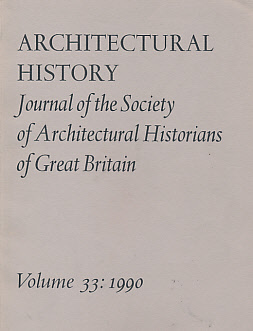 The Journal of the Society of Architectural Historians of Great Britain. Volume 30. 1987. Architectural History. 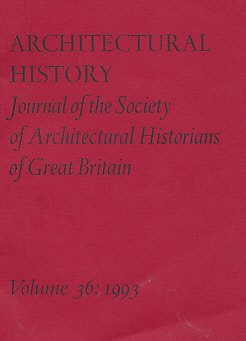 The Journal of the Society of Architectural Historians of Great Britain. Volume 31. 1988. Architectural History. 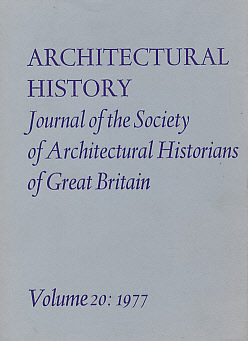 The Journal of the Society of Architectural Historians of Great Britain. Volume 33. 1990. Architectural History. 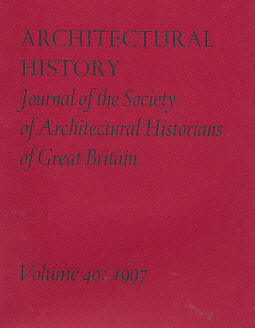 The Journal of the Society of Architectural Historians of Great Britain. Volume 35. 1992. Architectural History. 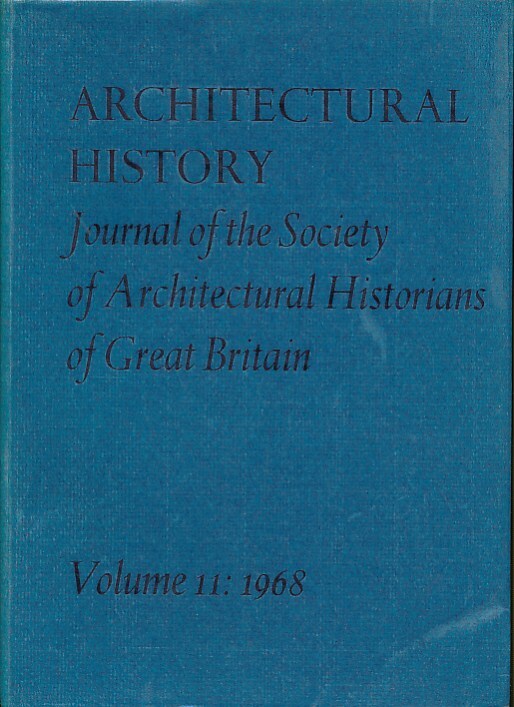 The Journal of the Society of Architectural Historians of Great Britain. Volume 36. 1993. Architectural History. 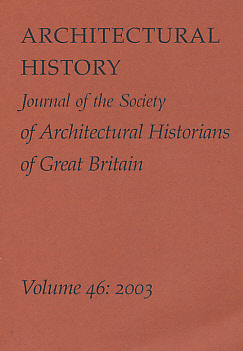 The Journal of the Society of Architectural Historians of Great Britain. Volume 39. 1996. Architectural History. The Journal of the Society of Architectural Historians of Great Britain. Volume 40. 1997. Architectural History. 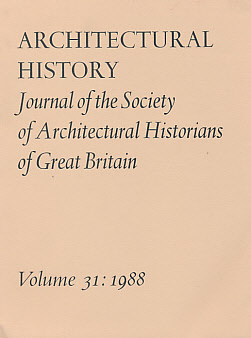 The Journal of the Society of Architectural Historians of Great Britain. Volume 45. 2002. Architectural History. 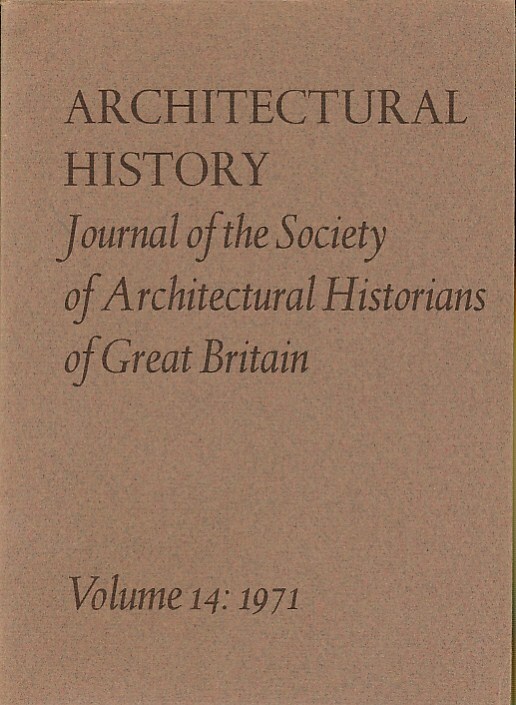 The Journal of the Society of Architectural Historians of Great Britain. Volume 46. 2003.